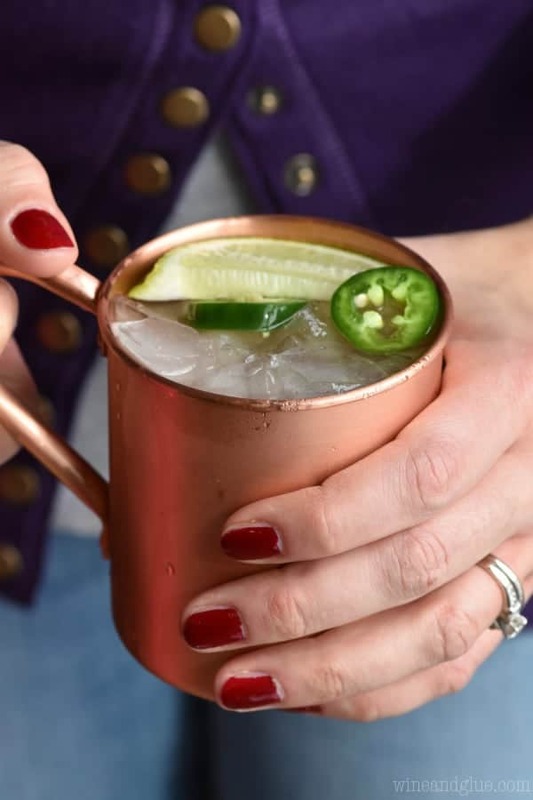 These Jalapeño Moscow Mules are the perfect slightly spicy twist on your favorite cocktail. 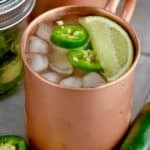 For other great twists on the Moscow Mule, make sure you check out this Tropical Moscow Mule and this Cherry Moscow Mule. 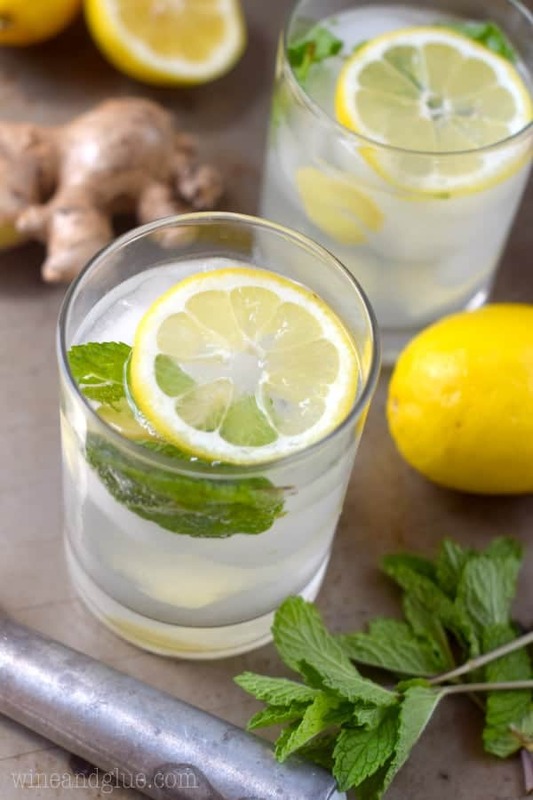 If you just need the classic, make my Original Moscow Mule. And make your jalapeño vodka a double batch and use it in this Jalapeño Bloody Mary. Back in October I did one of the best things I’ve done in a while! 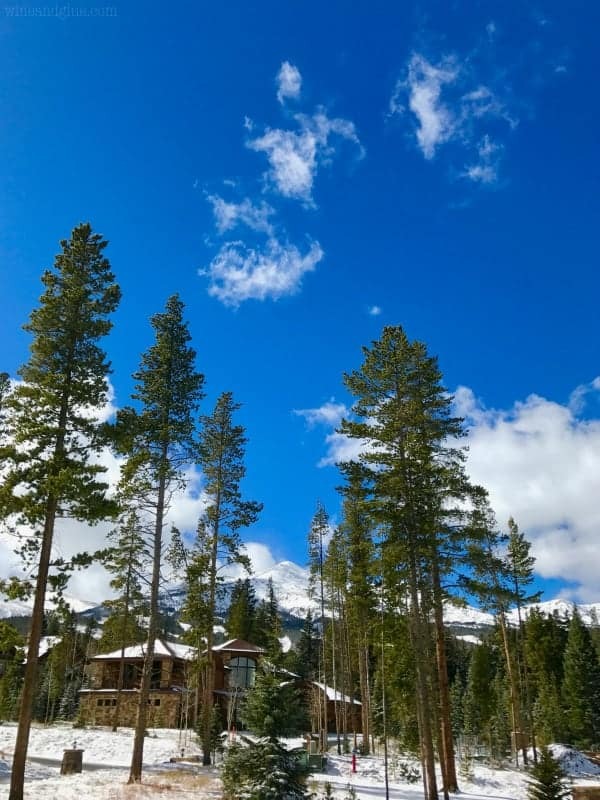 I went on a blogging retreat to Breckenridge, Colorado with some amazing bloggers. You guys. I haven’t laughed that hard or learned that much in a really really long time. I know blogging as a job seems super weird, but its also kind of amazing . . . and complicated. We wear a lot of hats to run our businesses. So it is kind of amazing and wonderful that we as a community are such a wealth of information. And the setting was just ???? I could not get over the views from the house we stayed at. 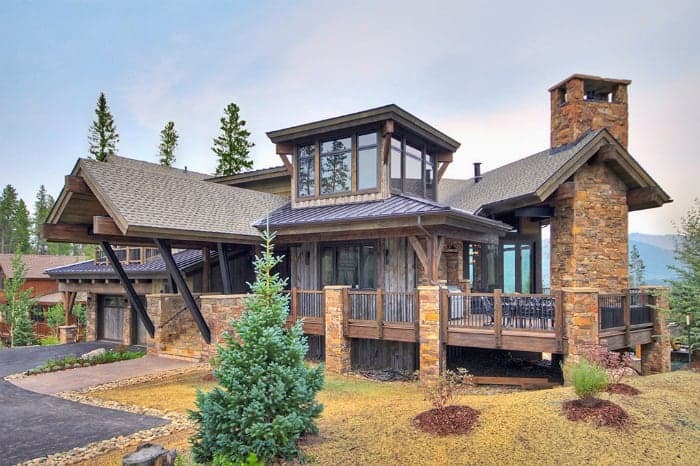 The wonderful people at GoBreck helped set us up in this amazing home, The Overlook. It was the perfect setting for us in so many ways. It had plenty of room for us all to spread out. And it had this HUGE dinning room table that sat all of us so we could sit around and figure out all the ways we are going to conquer the blogging world. If you are looking for a great place to go with your family, this is it, friends. 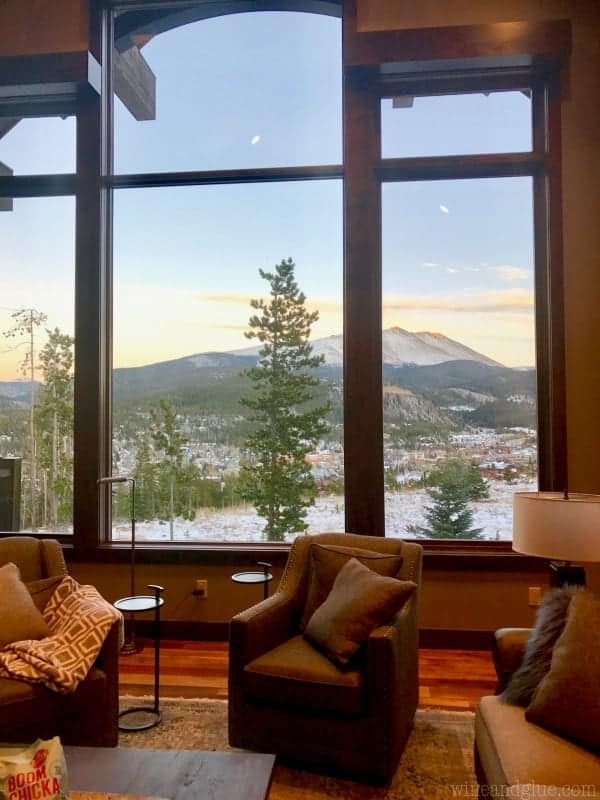 Besides the amazing accommodations, the town of Breckenridge is the perfect little ski city. It is surrounded by beautiful mountains perfect for a ski vacation and filled with cute little shops and great restaurants. The first night we were there we had dinner at The Canteen – the food was incredible and the drinks were ????. The second night we had pizza delivered from Giampietro. And the final night we were there we had our own chef! GoBreck sent over Chef Christian from The Secret Ingredient. He made a Vietnamese meal and it was absolutely incredible. Plus he put up with us asking him all sorts of annoying questions. All of the food for our trip was provided by Mediavine. And let me tell you, there were ten ladies who love food. We had a lot. ???? The last night we were there, when Chef Christian was there to cook for us, he made us the most incredible Moscow Mules. They were Vietnamese inspired and had jalapeño and cilantro in them. They were totally amazing. I had two while watching the sun set against the mountains. ???? 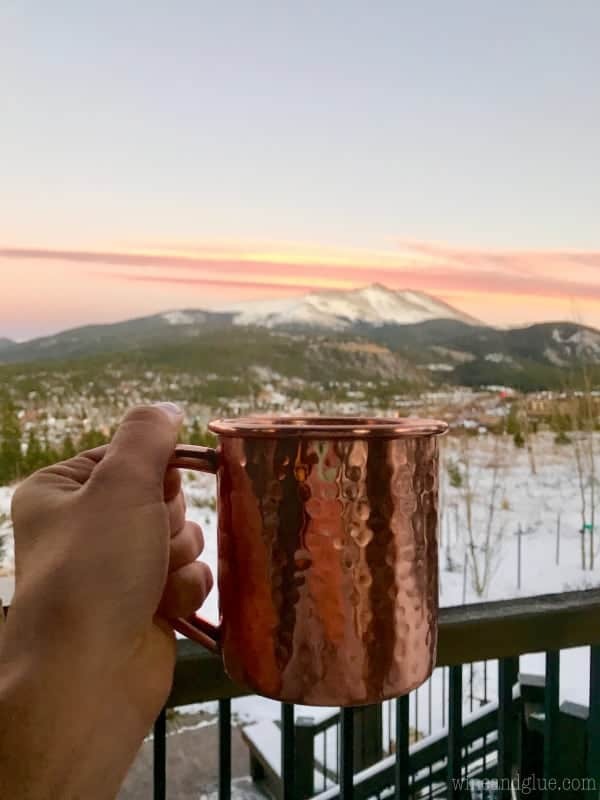 Guys, life doesn’t get much better than sipping delicious Moscow Mules with your friends while watching the sun set against he mountains. 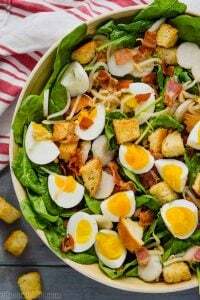 Christian’s recipe was a little more than I want to make at home, so I came up with the easy peezy version. You just slice up some jalapeños, throw them in with a cup of vodka and let it sit for a day. 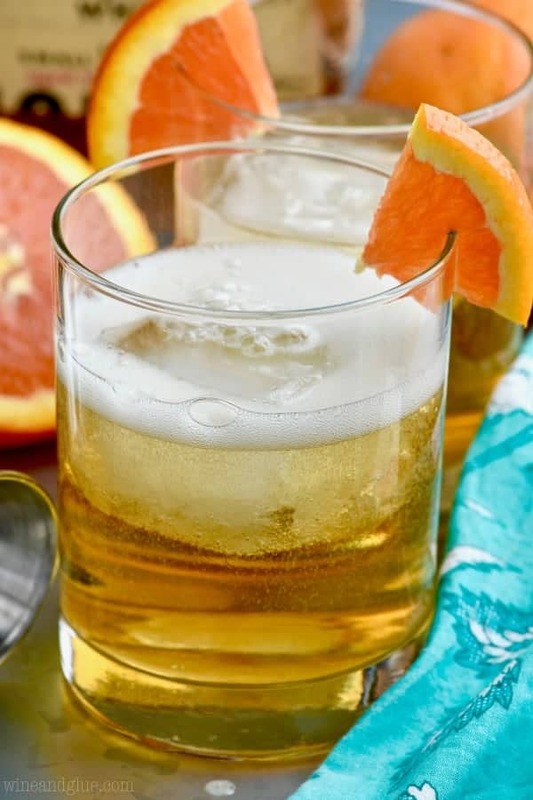 Then you mix up your Moscow Mules. 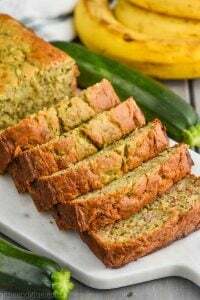 It is absolutely delicious. 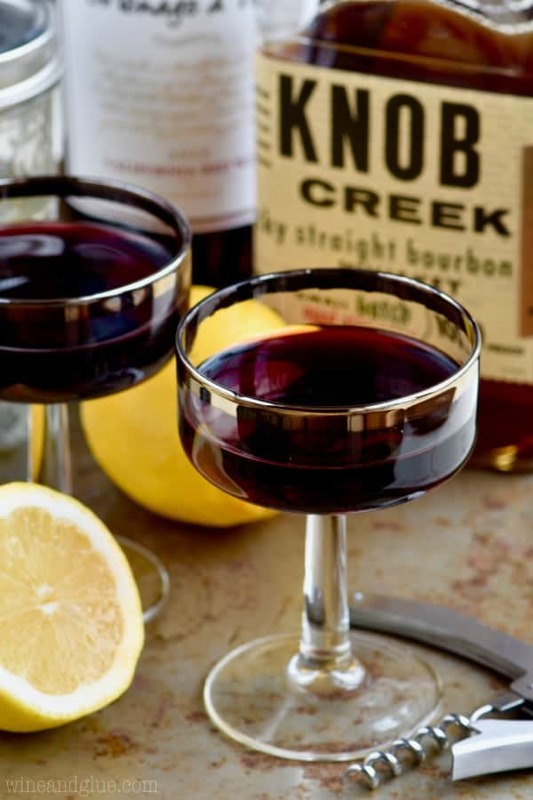 Obviously, I can’t bring you the mountains to look at while you sip on this, but you’ll still love it. 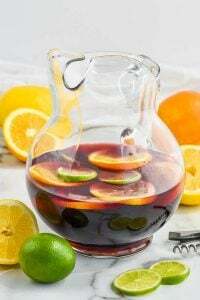 And if you are looking for more delicious Moscow Mules to make, you must try this Pomegranate Moscow Mule, this Caramel Apple Moscow Mule, and this Tuaca Moscow Mule from the brilliant organizer of our trip, Erin at Dinners, Dishes, and Desserts. 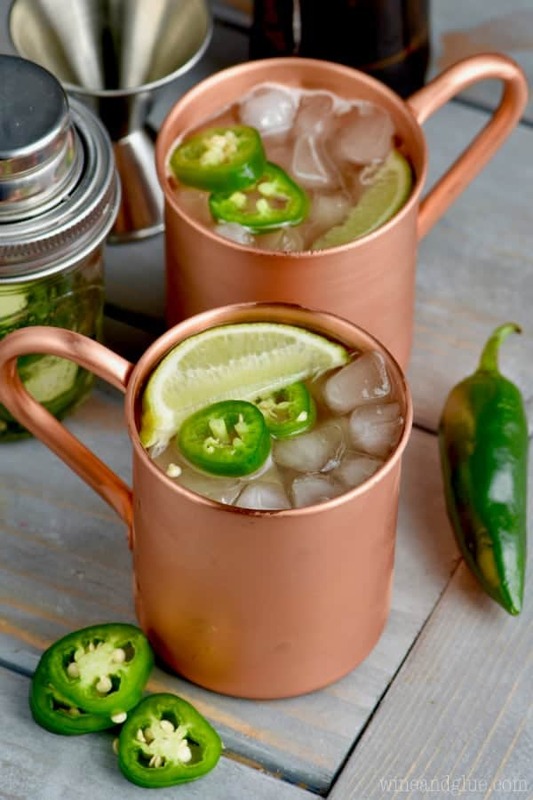 These Jalapeño Moscow Mules are the perfect slightly spicy twist on your favorite cocktail. To make the Jalapeño Vodka, combine the sliced jalapeño and the vodka in a jar and shake. Allow to sit for 8 to 24 hours. The longer it sits the stronger it will get. If you want just a hint of jalapeño, just let sit for an hour. 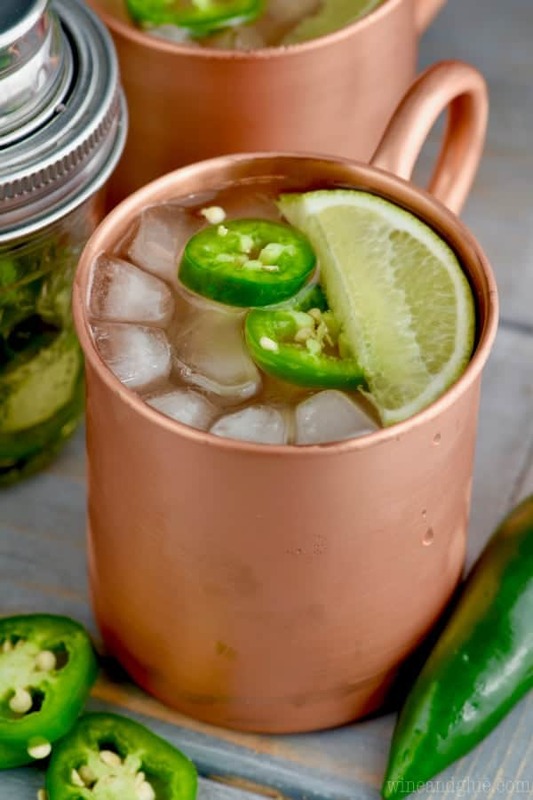 Combine all the ingredients for the Jalapeño Moscow Mule and serve over ice. I absolutely LOVED spending the weekend with you, I am so glad you made it! 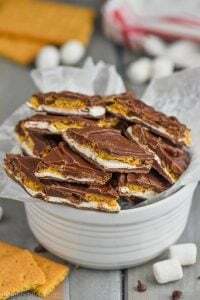 And these look incredible, will definitely be making them soon! I’m so happy you liked it Terrie!